Easy Brown Butter Hollandaise Sauce Recipe! Its so easy to make and so good! This recipe is only Butter, Eggs, Lemon, and Salt and Pepper and its soo rich, creamy and tasty! 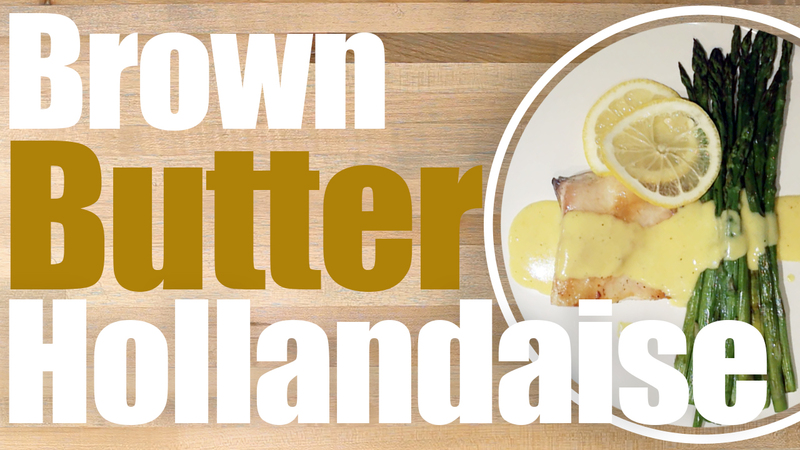 We used this brown butter hollandaise sauce over a tasty piece of cobia, but you can use this on your eggs benedict or anything else you want to add a creamy rich delicious sauce to! First you need to melt and brown the butter in a medium sauce pan. To brown the butter simmer on a medium heat until the butter foams. Skim the foam off the top of the butter until the remaining liquid turns gold. In a double boiler mix egg yolks with a teaspoon of water for around 3 minutes. Once the Yolks start to become smooth slowly drizzle in brown butter until well combined. Use a powered mixer with a whisk attachment. Your wrists will thank you!